CHICAGO–The School of the Art Institute of Chicago (SAIC), a global leader in art and design education, announced a partnership with artist Pedro Reyes to reproduce his work, “Palas por pistolas” (Guns into Shovels), in the city’s North Lawndale neighborhood on September 23. “Palas por Pistolas” was initially conceptualized as a response to the gun violence in the western Mexican city of Culiacán. Reyes organized a campaign for residents to turn in their weapons to be melted into shovels that were then used to plant trees. During the campaign, 1,527 weapons were collected and taken to a military zone to be crushed by a steamroller before shovels were created out of the weapon waste. 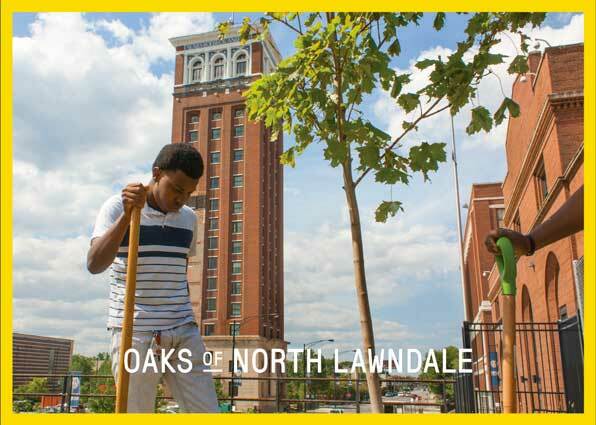 The symbolic act of showing how an agent of death can become an agent of life will be reproduced during the Oaks of North Lawndale event on Saturday, September 23 from 10 a.m.–4 p.m. at Nichols Tower, 906 S. Homan Ave.
Reyes; members of the North Lawndale community; representatives from SAIC; Alderman Michael Scott Jr. and representatives from participating organizations, which include North Lawndale Community Coordinating Council, 2017 Year of Public Art Chicago, Enterprise Community Partners and L-Evated Chicago will plant 10 trees and place 10 stones on the campus of Homan Square. Reyes will oversee the production of “Palas por Pistolas.” These shovels will then be used to dig the holes to plant the trees. In 2015, SAIC opened its first permanent classroom outside of its downtown campus. Housed within Nichols Tower on the Homan Square campus, the school offers arts education to the residents of North Lawndale, holds classes for SAIC students and hosts an artist residency program. In 2016, the school was awarded a $75,000 grant from the National Endowment for the Arts in support of its Homan Square Arts Initiative. Chicago, March 13, 2018—The U.S. Pavilion at the 16th International Architecture Exhibition of La Biennale di Venezia, commissioned by the School of the Art Institute of Chicago (SAIC) and The University of Chicago (UChicago), today announced new details about the exhibition Dimensions of Citizenship. The exhibition’s curators have commissioned seven architecture practices to explore how citizenship may be defined, constructed, enacted, contested, or expressed in the built environment at seven different spatial scales.